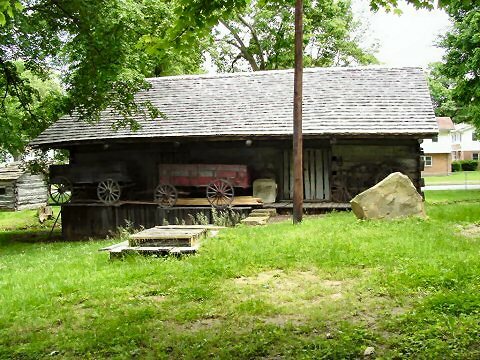 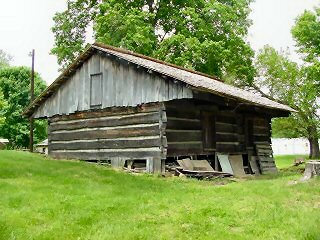 This structure was erected by the production crew of the movie The Kentuckian in the 1950's and depicts an early tobacco warehouse. 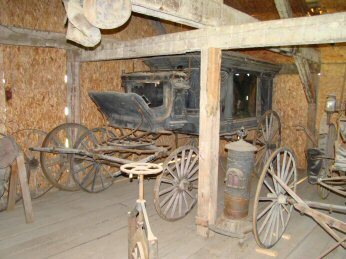 Several buggies, a hearse, and other horse-drawn vehicles may be seen here. 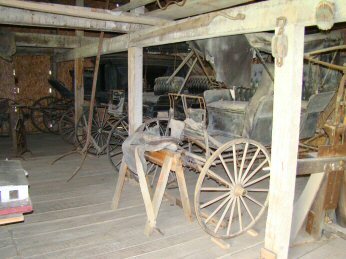 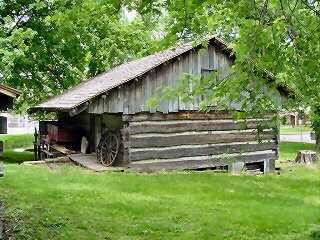 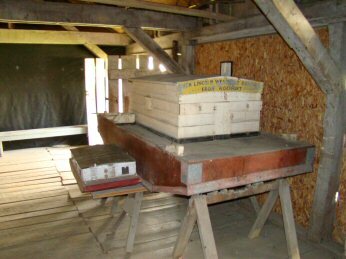 The building blends well into the village and was retained to display old wagons, large farm implements, and the like. 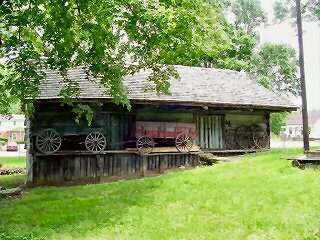 Two horse-drawn wagons are in front of the building.